– Zvirynets fortification – earth fortification of Kyiv, located in the historic area of Zvirynets Pechersky district (partially preserved). It is part of the Kyiv fortress (1810-1812 built on the project of military engineer Opperman). A small fort, connected by four earthen redoubts with the Pechersk fortress, it had to protect from the south side the approaches to the Pechersk Lavra. It was used to store weapons and ammunition. Virtually completely destroyed (preserved a small part). In June 1918, due to improper storage of ammunition, there was a huge explosion in powdered cellars and artillery warehouses, as a result of which almost all the houses here were destroyed. 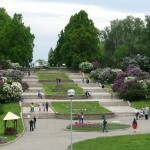 Today, on the site of the ruins of the Zvirynets fortress, the Hryshko National Botanical Garden is laid out (Tymyryazevska Str., 1). The ruins themselves are scarcely discernible in the grassy hills. 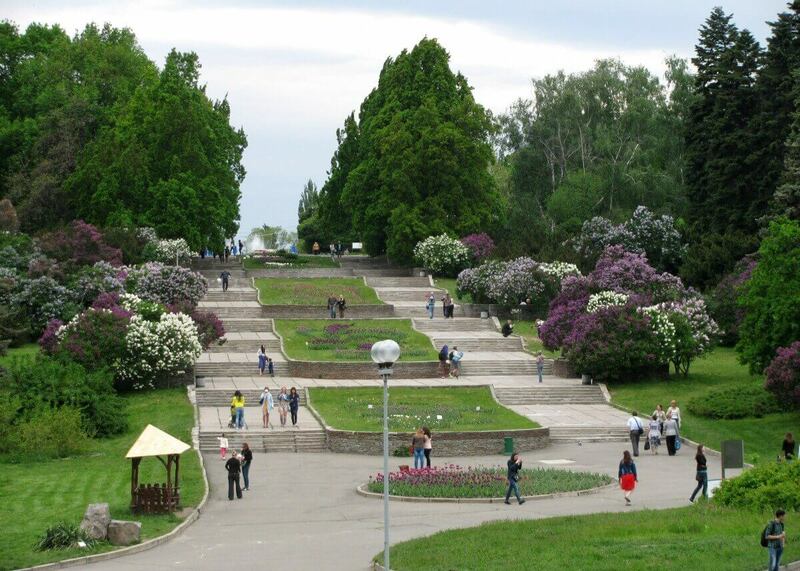 – Remains of earthen ramparts (Hryshko Botanical Garden) – the outlines of the former fortification are rather well seen in the outline of the alleys and viewing platforms, and the alpine hill exactly repeats the fragment of the ramparts. The height of the ramparts reached 12 meters.